The Economic Substance Law was amended on 22 February 2019 and introduces certain reporting and economic substance requirements for 'relevant entities' conducting 'relevant activities'. Such entities will be required to report certain information on their relevant activities on an annual basis to the Cayman Islands Tax Information Authority, the first such annual report being due no later than 12 months after the last day of the relevant entity's financial year commencing on or after 1 January 2019. On 27 December 2018, the Cayman Islands published The International Tax Co-operation (Economic Substance) Law, 2018 and The International Tax Co-operation (Economic Substance) (Prescribed Date) Regulations, 2018 (together, the "Initial Law"). The Initial Law was amended on 22 February 2019 by the publication of The International Tax Co-operation (Economic Substance) (Amendment of Schedule) Regulations, 2019 (the "Regulations" and, together with the Initial Law, the "Economic Substance Law") and supplemented by the issuance of the first version of the related Guidance on Economic Substance for Geographically Mobile Activities (the "Guidance"). The Economic Substance Law is responsive to global OECD Base Erosion and Profit Shifting ("BEPS") standards regarding geographically mobile activities. Requirements of this type are rapidly being implemented on a level playing field basis by all OECD-compliant 'no or only nominal tax' jurisdictions. Global standards in this field continue to develop. Accordingly, it is to be expected that the Economic Substance Law and the body of related Guidance will also evolve. The Economic Substance Law envisages that further regulations can be issued from time to time to prescribe and amend certain matters in the Economic Substance Law. Certain important practical aspects of the economic substance requirements are likely to be further clarified by additional guidance in due course. Those who establish Cayman Islands structures do not generally do so to engage in BEPS activity; they do so because the Cayman Islands is an efficient, stable and trusted neutral hub with key expertise in handling complex transactions. Accordingly, the Cayman Islands financial services industry and its clients should be able to take these requirements in their stride given the nature of the transactions structured in the Cayman Islands and the global standards that are already applicable in the Cayman Islands. The Economic Substance Law introduces certain reporting and economic substance requirements for 'relevant entities' conducting 'relevant activities'. Such entities will be required to report certain information on their relevant activities on an annual basis to the Cayman Islands Tax Information Authority, the first such annual report being due no later than 12 months after the last day of the relevant entity's financial year commencing on or after 1 January 2019. 'Relevant entities' that do not conduct a 'relevant activity' will have to make a simple notification to confirm whether or not they conduct a 'relevant activity' (this straightforward notification is expected to be made online, via a dedicated portal, the first notification being made around September 2020). For a relevant entity formed on or after 1 January 2019 that will conduct a 'relevant activity', the economic substance requirements will apply from the date that the relevant entity commences the relevant activity. For relevant entities conducting relevant activities that were in existence before 1 January 2019, the economic substance requirements will apply from 1 July 2019.
c. an entity that is 'tax resident' outside of the Cayman Islands. The terms 'investment fund' and 'domestic company' are defined in the Schedule to the Economic Substance Law. The Guidance provides some practical guidance as to the meaning of 'tax resident'. Entities without separate legal personality (such as certain forms of partnership or trust) are not within the classification of a relevant entity. An initial step will be to determine whether an entity may fall within the classification of a 'relevant entity' (and, if so, to then determine if it is conducting or if it intends to conduct a 'relevant activity'). Your usual Maples Group contact will be able to assist you in making these determinations. What is a Relevant Activity? Please click on any of the relevant activities listed above to view the particular activity-specific client update. Where a 'relevant entity' conducts a 'relevant activity', the economic substance test will apply. Where a 'relevant entity' conducts more than one 'relevant activity', the economic substance test will need to be satisfied in respect of each relevant activity conducted. 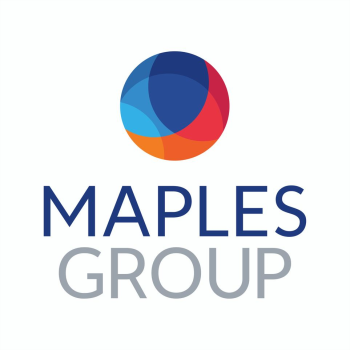 For details on what it means to be subject to the economic substance requirements of the Economic Substance Law, as well as for information on the potential consequences of breaching these requirements, please contact your usual Maples Group team member. commitments made by the Cayman Islands to the EU as part of the EU's listing process. How will entities be affected? The extent to which an entity is affected will depend upon a number of factors including the entity type, the type of business the particular entity is engaged in and the way in which it operates. However, an initial step will be to determine whether an entity may fall within the classification of a 'relevant entity' and, if so, to determine if it is conducting or if it intends to conduct a 'relevant activity'.